Simple, clean and sharp in design this money clip is an ideal gift to match everyone's taste. Then add a personal touch by personalizing your gift with a initial engraved for each one of your groomsmen and it becomes a gift to remember. 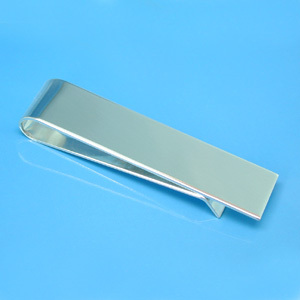 This sterling silver money clip is 0.5 x 2 inches in dimension and may be monogrammed with up to three initials.